Welcome to the first in a new EarthTime series of short profiles & interviews of people who, in one way or another, are seeking deep connection to Nature. In the following interview, Mark Kutolowski shares his ecstatic encounters with the Divine, the evolution of his spiritual practice, and ways that he continues to cultivate awareness of the Sacred in Nature. 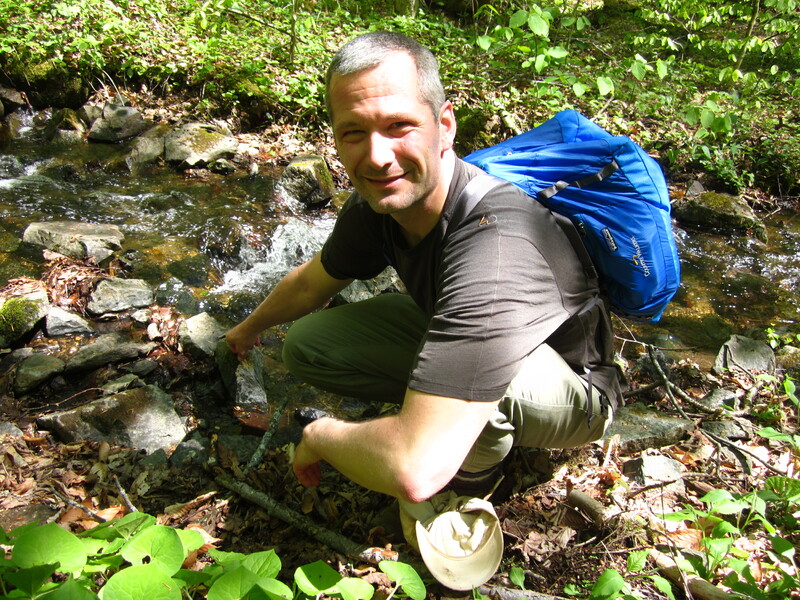 Mark will be a regular contributor on the EarthTime Blog – look for his “Word from the Woods” every Wednesday! 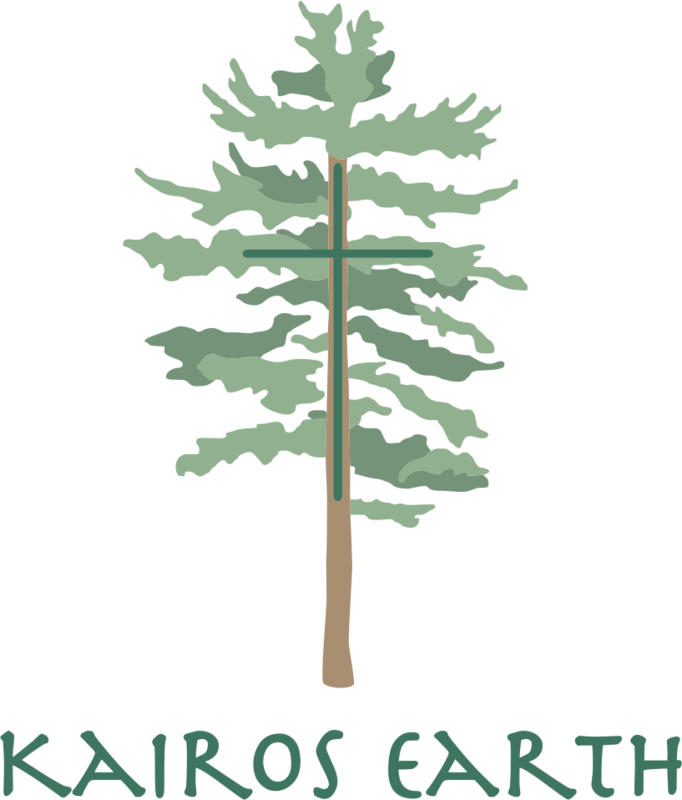 Mark is the Director of Contemplative Education for Kairos Earth. You can read his bio here. EarthTime: How do you cultivate your relationship with / maintain your awareness of Nature as a bearer of the sacred? MK: My relationship with nature is a profound aspect of my relationship with the Christ/Word/Second person of the Trinity, which to me means the incarnate, embodied, manifest presence of God. At the heart of every aspect of nature, I encounter the vastness of Divine Love flowing through particular, embodied forms. My practice, if you can call it that, is to remain lovingly open to each aspect of nature as it truly is, that is, both in its full uniqueness and as a manifestation of Divine Love. I used to do a great deal of disciplined meditation and prayer practices to try and open to nature in this way. After two decades of practice, this relationship is now more spontaneous and open, with less formal ‘practice’ – these days my baseline experience of the natural world is one of being a participant in a vast flow of self-giving love. This experience comes to me in silent prayer in nature, but also in harvesting and eating wild foods (a favorite hobby of mine), and in canoeing and moving across the landscape, among many other times. There’s a sort of gentle, subtle ecstasy that fills all of my engagement with nature – and sometimes it explodes into an ecstasy that is neither gentle or subtle! I think I have fewer ideas and beliefs about nature now than I did a decade ago, and more and more a sense that when I speak about nature as sacred I’m simply reporting my first-hand experience. That experience also corresponds quite closely with ancient Christianity’s notion of nature as a first ‘book’ of revelation, so I guess you could say that my beliefs and ideas are similar to those of the early church. EarthTime: Is there a particular moment or period of time that you can recall when this awareness emerged? MK: This awareness has always been with me, though it became more conscious in stages. My first solo wilderness retreat, at age 19, was a particularly important time for me, when I was wildly embraced by a Divine Presence in the Adirondack wilderness that left me staggering with joy – and thirsting for greater knowledge and intimacy with this Presence. I started doing regular solo wilderness retreats at that time, and these retreats have done more to cultivate this awareness than anything else. EarthTime: Do you have a favorite book/ author/ verse/ song which you find especially insightful on this topic? Why does it speak to you? MK: There are many – one of the best articulations I’ve read in recent years is ‘The Solace of Fierce Landscapes’ by theologian Belden C. Lane. I’m also fond of some of the quotes from the ancient saints like St. Anthony of Egypt, St. Benedict, and St. Augustine, and later mystics like Meister Eckhart, St. Francis and St. John of the Cross. I love reading a sentence or paragraph from 1,000 years ago that resonates exactly with my own inner experience – it deepens and grounds my own spiritual experiences in a sense of lineage and tradition.